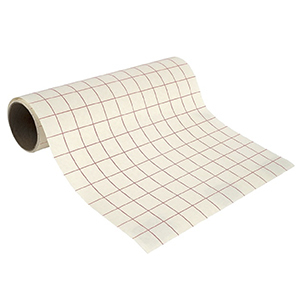 Made with the same face film as the popular Oracal 651 but with our own brand adhesive. PerfecCut is widely applied to different areas, everywhere from cups and mugs to cars, boats and aircrafts to home electonics. Any flat smooth surface works great. How does PerfecCut compare to Oracal 651? PerfecCut is very similar to 651. They are actually made with the same face film from the same company. PerfecCut comes from the American mfg of the company and 651 comes from the German mfg of the same company. 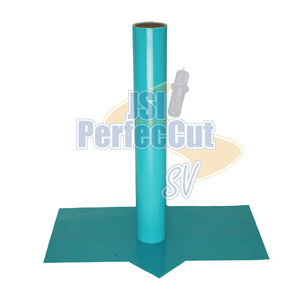 PerfecCut has a different adhesive and liner. They are both glossy (although our PerfecCut does have a matte option for BLACK and WHITE). They both have a permanent, outdoor adhesive. They both have an up to 5 year outdoor life expectancy (3 for the Gold and Silver). 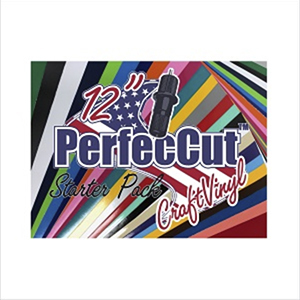 If you haven’t tried PerfecCut yet, try it today! Great for decals, signage, banners, window graphics, etc. 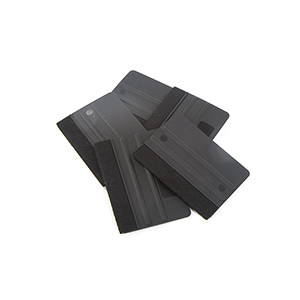 Excellent cutting, weeding, and transferring and is made in the USA! From Candace Sanchez of League City, Texas on 4/2/2019 . Awesome price!!! Awesome quality!!! I’m so thankful one of the customers shared your companies information on a Cricut Facebook group. I’m from Texas and shipping was fast. From Lanette j of Anaheim, California on 2/4/2019 . From Kenneth McLaughlin of Cleveland, Tennessee on 9/14/2018 . From Karen Amoroso of Dacula, Georgia on 8/2/2018 . Called the office very pleasant and helpful. Received product quickly. Will order again. From Donald Berglund of Atlanta, Georgia on 6/11/2018 . We have been using this Black Perfeccut Vinyl for the past year and it works perfectly. Looks great, weeds easily.